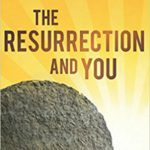 Despite what many critics claim, belief in the resurrection does not make us ‘no earthly good.’ In reality, it gives hope for the future and impacts how we treat both people and creation in the present. 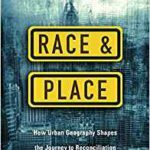 Race and Place reveals the ways in which geographic forces and structures sustain the divisions among ethnic entities. Leong unpacks the systemic challenges that are rarely addressed in the conversation about racial justice and envisions a future of belonging and hope in our streets, towns, and cities. 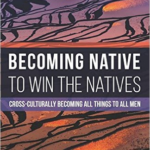 With insights firmly rooted in Scripture and equally grounded in empirical research from the social sciences, Strauss asserts that culture trumps the biblical story, and therefore understanding and skills are required for effective engagement across cultures. 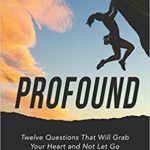 With insight and based on scripture, Schindler addresses 12 root issues of the human heart–applicable to anyone, whether a Christ-follower or not. He masterfully weaves through issues that are of utmost concern to humans, and answers them biblically. Luis Bush has a unique perspective on what God is doing around the world. 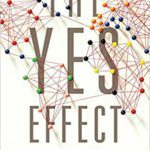 The Yes Effect reveals that true transformation begins when we restart our hearts to get in sync with God’s tenderness toward the oppressed and regaining compassion for the lost. 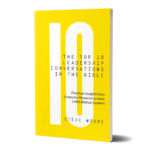 This book grew out of Steve Moore’s multiyear study of leadership conversations in the Bible. Leadership lessons are drawn from the conversation and interwoven with additional insight and experience from the author’s life. 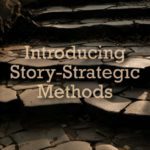 The first chapter relays how the author evaluated the conversations and chose the “top 10.” Each of the next ten chapters could be considered a lesson and devotional from a biblical leader’s life. 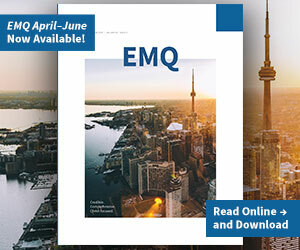 Far too long many churches have become either distracted or sidelined by prevailing misconceptions of what their mission to the world should be. 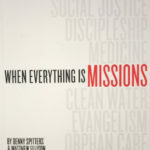 Through this book Spitters and Ellison have taken up the banner of giving much needed correction to misunderstandings and mistaken mission practices that have become prevalent in many church mission programs. Stephan Bauman, former president of World Relief, makes the case that even though compared to previous generations we are safer, live longer, hurt less, and earn more, we are also more afraid than ever. Bauman invites us, and tells how to live in authentic faith, free from fear and its debilitating symptoms that paralyzes many from engaging the world. In the author’s ten years living in China, Chinese friends and foreign friends alike have told him that in many ways he is more like a Chinese person than an American. Taking his cue from the Apostle Paul, “I have become all things to all men so that by all possible means I might save some” (1 Cor 9:22), Laughlin first looks at how we are to imitate Christ’s love and humility to effectively love the locals to whom we minister. 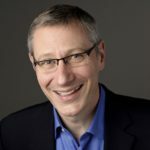 An informal conversation with Hans Finzel to discuss his book Top Ten Ways to Be a Great Leader. 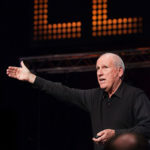 Listen as Finzel talks about the word LEADERSHIP, and masterfully uses the letters to outline the ten essential skills every leader must master.